Here's some disturbing stuff. Beautiful, but disturbing. But surprisingly, not in a Czech-holocaust-nightmare sort of way. 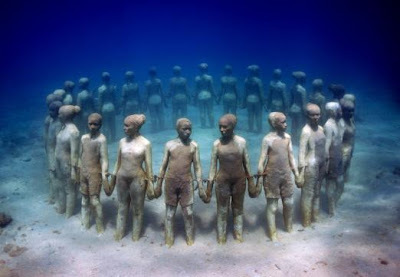 The artist's name is Jason deCaires.